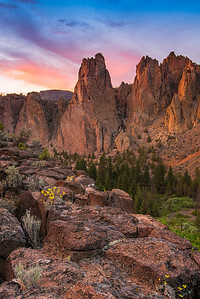 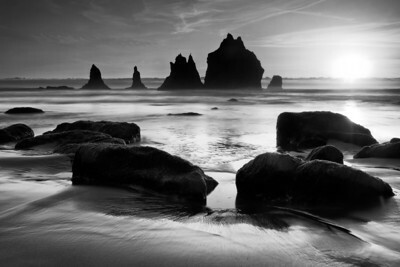 Sunset at Oregon's Smith Rock. 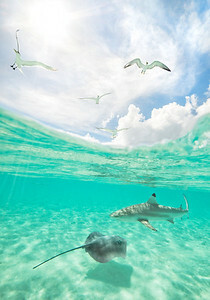 A dynamic over under images from Bora Bora, French Polynesia. 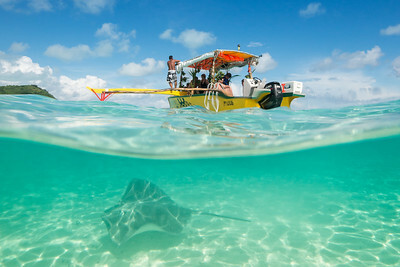 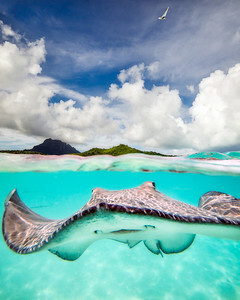 A stingray lurks just below the surface in Bora Bora, French Polynesia. 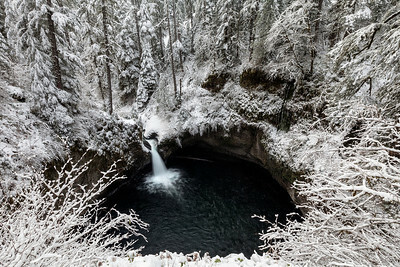 Fresh snow at Oregon's Punchbowl Falls.